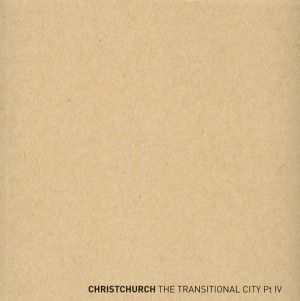 The most important book written about the recovery of central Christchurch. New Zealand has to rebuild the majority of its second-largest city after a devastating series of earthquakes – a unique challenge for a developed country in the twenty-first century. The 2010-2011 earthquakes fundamentally disrupted the conventions by which the people of Christchurch lived. The exhausting and exhilarating mix of distress, uncertainty, creativity, opportunities, divergent opinions and competing priorities generates an inevitable question: how do we know if the right decisions are being made? Once in Lifetime: City-building after Disaster in Christchurch offers the first substantial critique of the Government’s recovery plan, presents alternative approaches to city-building and archives a vital and extraordinary time. 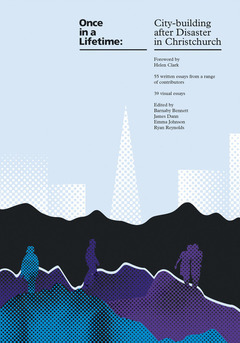 It features photo and written essays from journalists, economists, designers, academics, politicians, artists, publicans and more. Once in a Lifetime presents a range of national and international perspectives on city-building and post-disaster urban recovery. 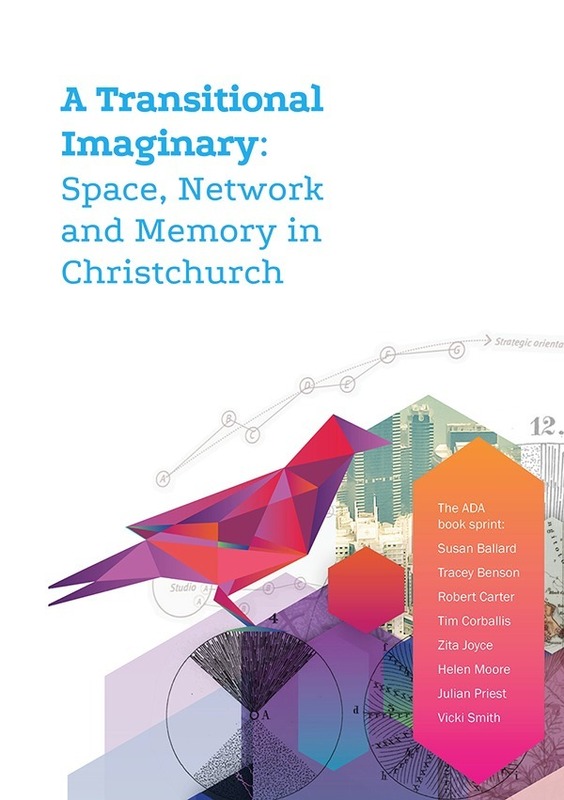 For a thorough, indepth review of Once in a Lifetime, do read Alison McCulloch’s piece on Scoop Review of Books: ‘Re-building Christchurch’, 22 November 2014. Read Guy Marriage’s review in the November 2014 issue of ArchitectureNZ. 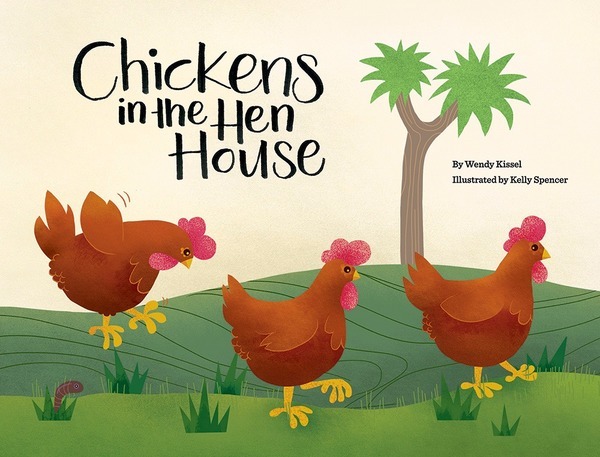 Matt Galloway’s beautiful cover design is admired on the Design Gel blog, 26 October 2014. ‘Most important earthquake book so far’ – Will Harvie, Where there’s a will (blog), 15 September 2014. ‘British TV star urges new quake city layout’ – Anne Wilson, New Zealand Herald, 9 September 2014. Read ‘Launch of Once in a Lifetime’ on Beattie’s Blog, 4 September 2014. Read ‘Essays reflect on rebuild’ – Philip Matthews, The Press, 31 August 2014. Hear contributors Melanie Oliver, Gerard Smyth and Ryan Reynolds in conversation with Lynn Freeman on National Radio’s Standing Room Only, 31 August 2014. Watch Ryan Reynolds on Tv3’s Firstline being interview about the book, 25 August 2014. Listen to Barnaby Bennett on Newstalk ZB being interviewed by Chris Lynch about the book, 20 August 2014. Disneyfield River Precinct Underwhelms – John McCrone, The Press, 16 August 2014. Outspoken Economist Leaves Christchurch – Interview with Eric Crampton, The Press, 16 August 2014. Ryan Reynolds, ‘When all else fails…’, Idealog, September/October 2014. Architecture Now’s editorial desk: ‘Once in a Lifetime‘, 16 September 2014.